In a small conference room at Detroit Medical Center’s Sinai Grace Hospital, violence intervention specialist Ray Winans asks a roomful of young African Americans if they know anyone who has been killed by gunshots. They all raise their hands, including Winans and his partner, Calvin Evans. They’ve also lost friends, family members. “Five… six… seven,” says one, trying to remember. The young men are participants in the fledgling program D.L.I.V.E., pronounced D-Live – like “Live from New York!” – which stands for Detroit Life is Valuable Every Day. These men are survivors of violence, usually from gunshots, treated for their wounds in Sinai Grace’s emergency room. Some have been to jail; others expect prison to be in their future. But they all say they are working to change their lives with support from the D.L.I.V.E. program. 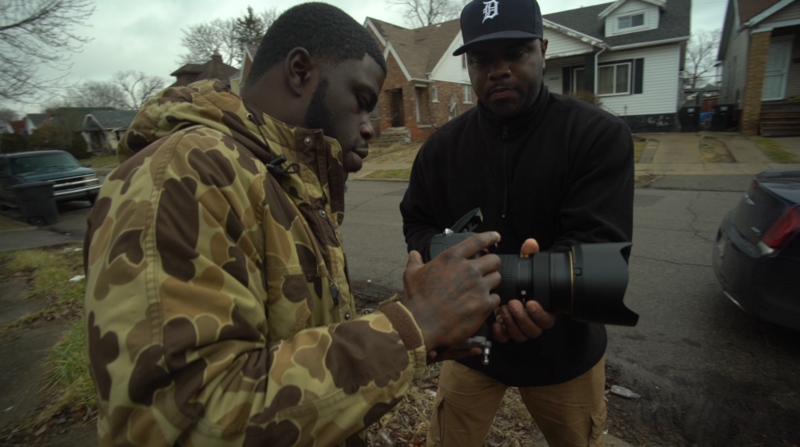 Winans talks about a life of survival in Detroit. Depending on where you live, it can be a mental health issue. “Does anyone here know what post-traumatic stress disorder is?” he asks. D.L.I.V.E. 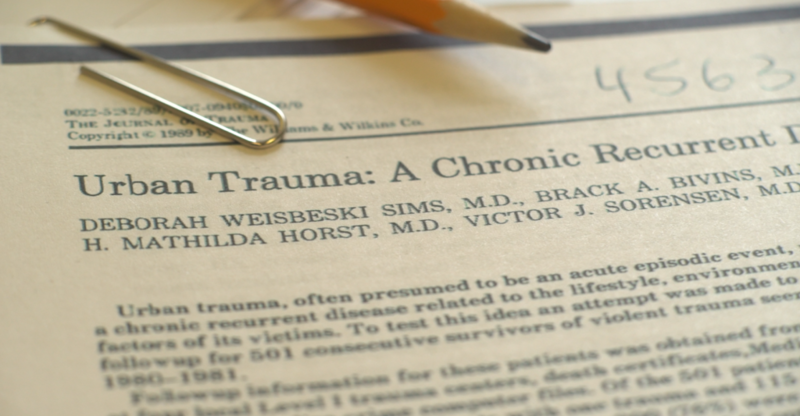 was launched in April last year after Sinai Grace emergency room doctor Tolulope Sonuyi spotted an academic paper, titled Urban Trauma: A Chronic Recurrent Disease, a Detroit-based study published in 1989 during the height of the crack cocaine era. In the 1980s, Detroit, like other cities nationwide, was caught in a crack nightmare, with the gang warfare that came with it. 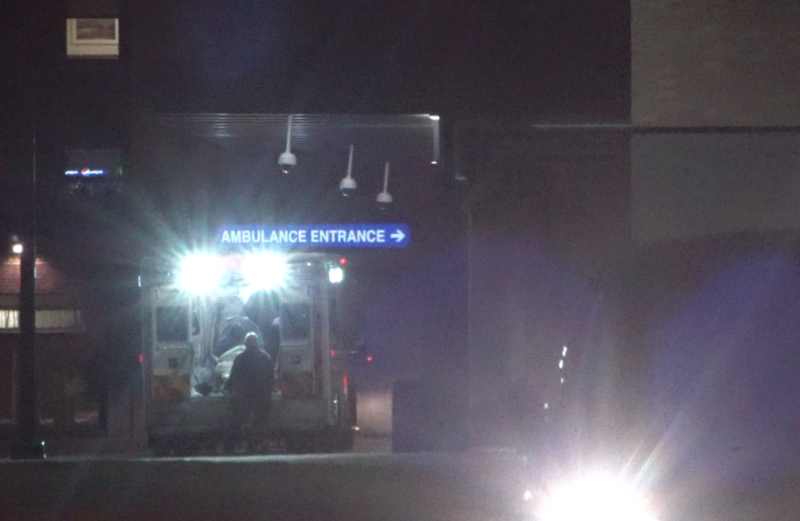 Detroit ER doctors deluged with gunshot victims noticed that many of those who survived became repeat customers – gunned down a second time. Certainly it was a societal problem and a criminal justice matter, but in Detroit, doctors made a paradigm shift. Perhaps the shootings, they thought, could be treated like any other disease. Urban Trauma would become a landmark study, leading to violence intervention programs at medical centers in cities including Oakland, San Francisco, Chicago and Baltimore. They’re all connected as part of the National Network of Hospital-based Violence Prevention Programs. 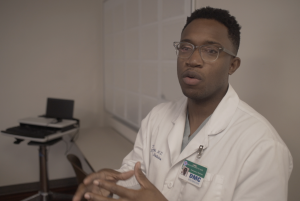 They’re finding varying degrees of success, but now the Urban Trauma study has come full circle, back to Detroit, where Dr. Sonuyi has assembled a team to work with gunshot victims from the moment they roll into the emergency room until they’re made well, physically and mentally. It’s the first unit of its kind in the city, run day to day by two men who know full well what life is like on the streets. Winans turned away from crime eight years ago. “I’ve come far from a little project kid,” he says. But because of his experiences, he’s able to earn the trust of victims. Evans has studied the ways people turn away from crime and become productive citizens. As a young drug dealer, he was shot in the face. He recovered long enough to be charged for a murder he said he didn’t commit. But minding the code of the street, he refused to divulge who did it. He served 24 years. While behind bars he created his own business plan for success as he waited for the day he’d be released. That was four years ago, and he’d been working steadily when Dr. Sonuyi recruited him to help get D.L.I.V.E. off the ground. Many hospital-based violence prevention programs cooperate with the police. That’s only natural. But the police tend to treat some victims like suspects. Travis Causey, who was shot, became a D.L.I.V.E. participant only after persistent efforts by Evans. Now Causey is finishing his G.E.D., has a regular job, takes photography classes and stays in constant contact with Evans. On a cloudy winter day Evans introduced Causey to photographer Ernest Sisson. Causey snaps pictures in his neighborhood, the same streets Evans ran 30 years ago. D.L.I.V.E. is currently at capacity with 25 participants, including two women, but expansion plans are in the works. Program support has come from grants including funding by the Skillman and DMC Foundations. D.L.I.V.E. is completing its first year, after which it can join the ranks of the National Network of Hospital-based Violence Prevention Programs. Statistics show the odds of these young Detroiters returning to the hospital as victims of violence should be approximately 45 percent. So far, the program seems to be working. The number stands at zero. The issue really is that most inmates are in prison for drug addiction related crimes and our success at getting addicts off and KEEPING them off is abysmal. We might be further ahead giving them their drugs for free and seek to develop other solutions with the money we save!